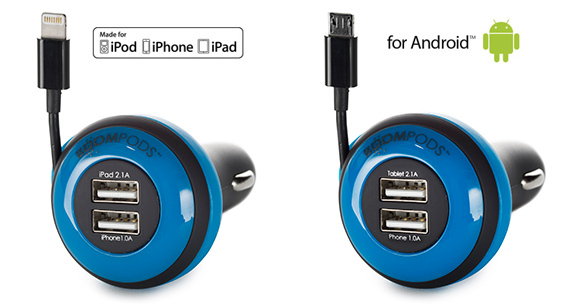 Charge up to 3 devices at once using the 2 x USB ports and integrated cable; ideal for iPhones, tablets, MP3 players and Sat-Nav devices. 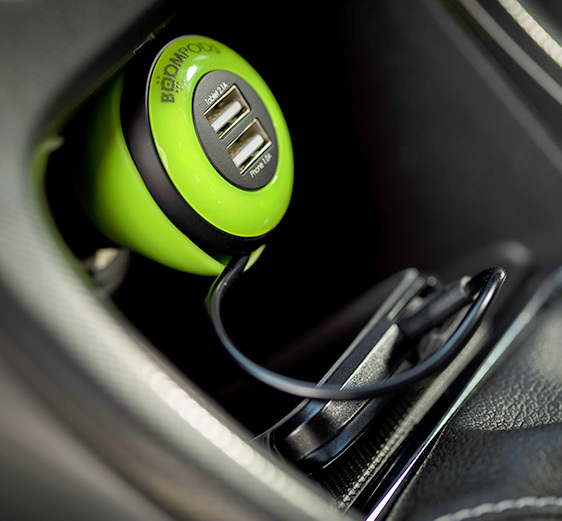 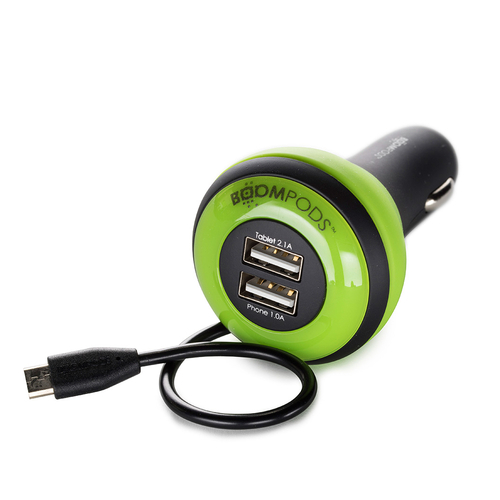 These USB car chargers are ideal for powering all your devices from your vehicle whilst you’re on the move. 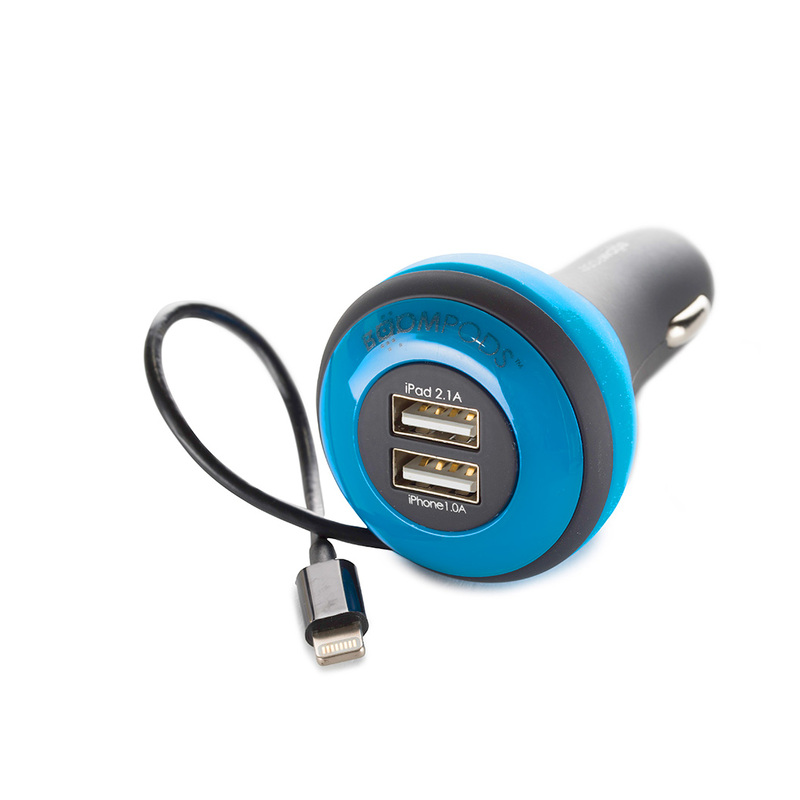 Charge up to 3 devices at once using the USB and integrated Lightning or Micro USB cable; ideal for mobile phones, tablets, MP3 players and Sat-Nav devices. 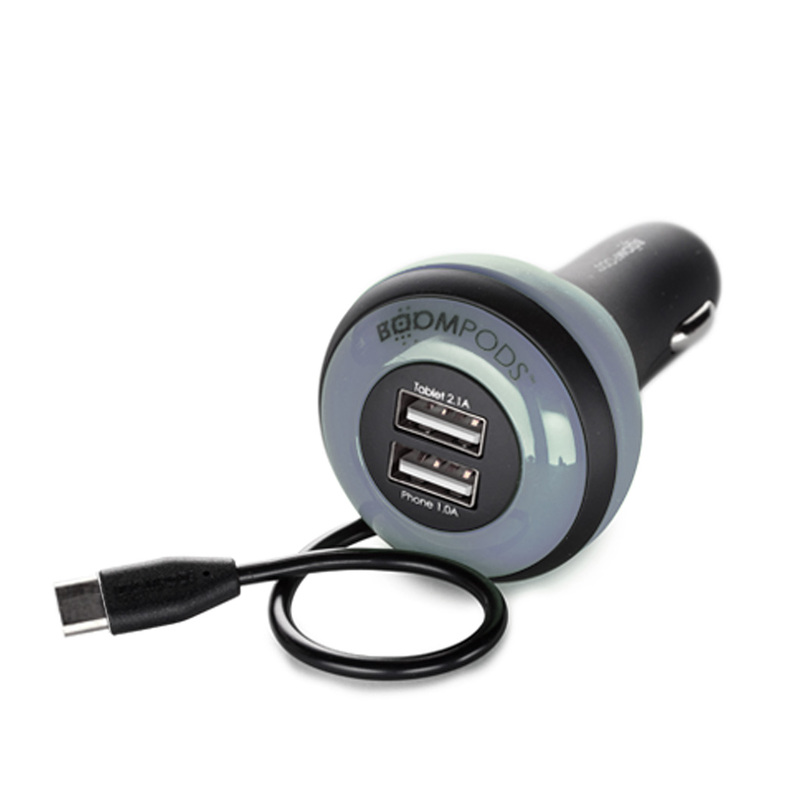 They feature a handy LED power indicator, letting you know when the charger is fully plugged in, and the 20W power output charges your devices quickly. 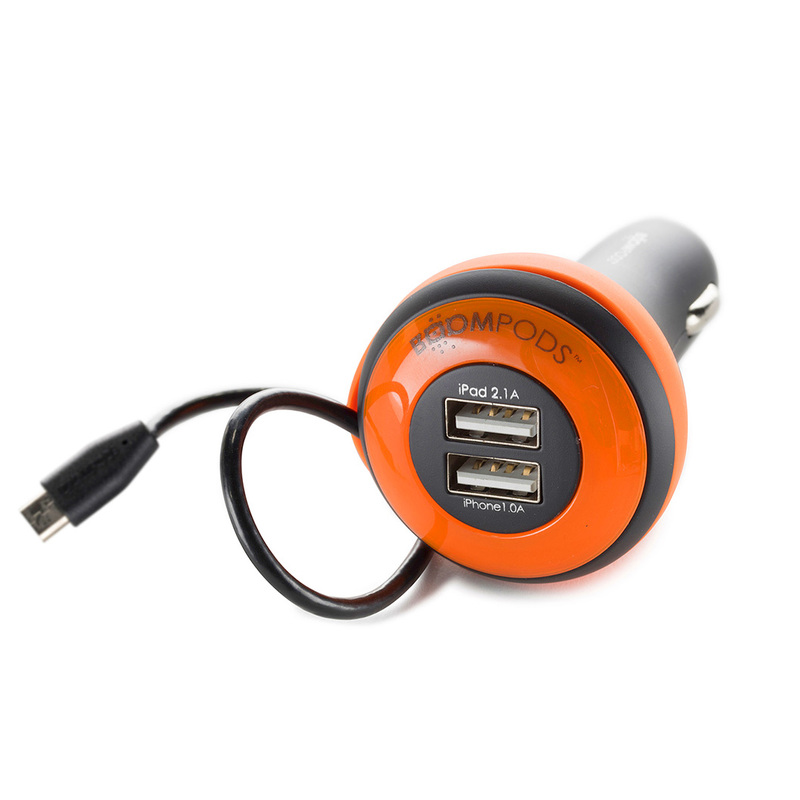 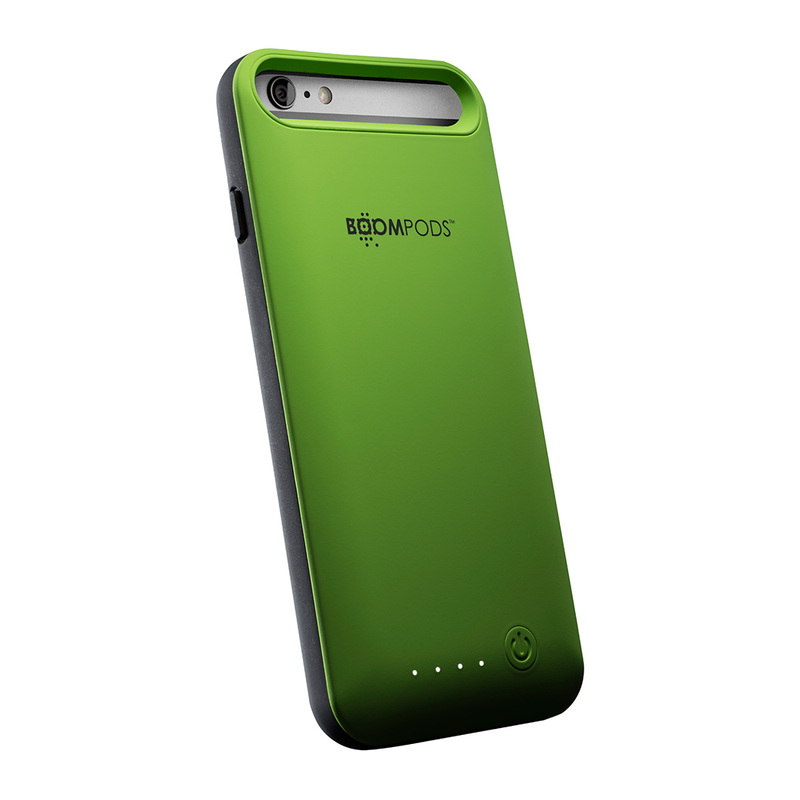 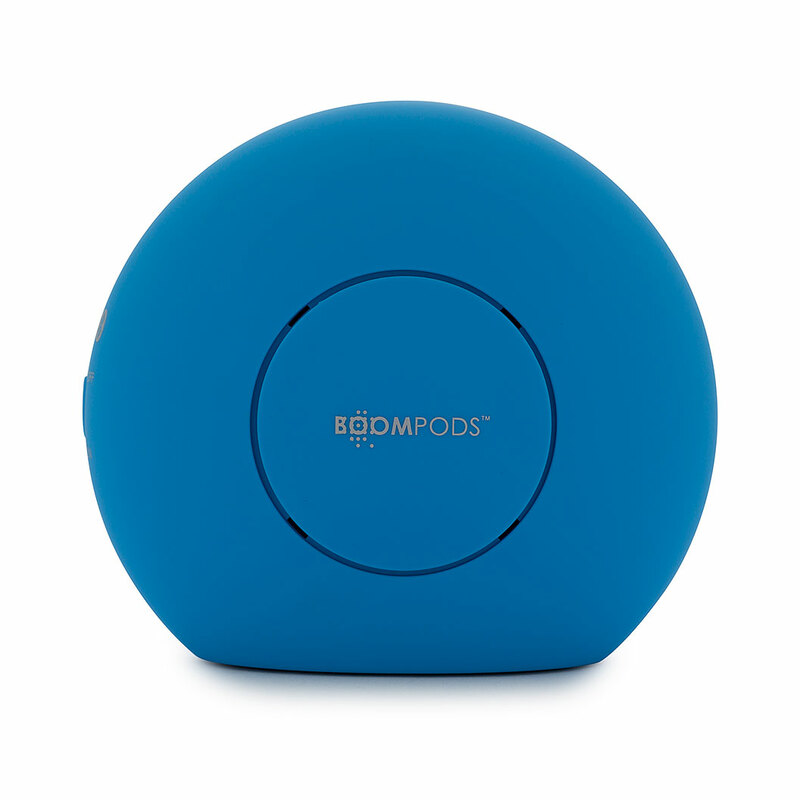 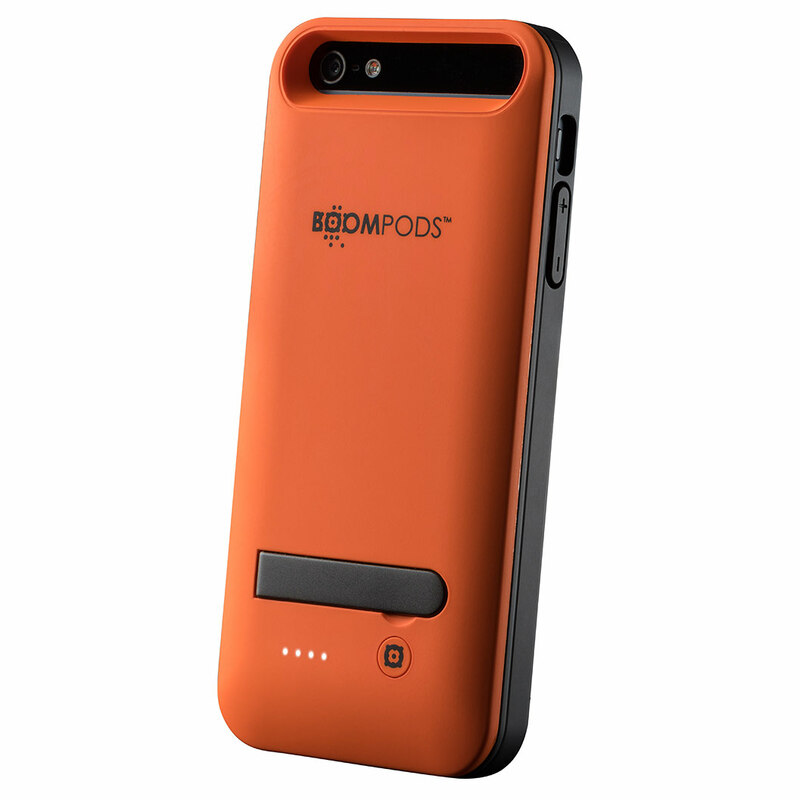 They’re compact, stylish and easy-to-use, keeping your devices fully charged wherever you go. 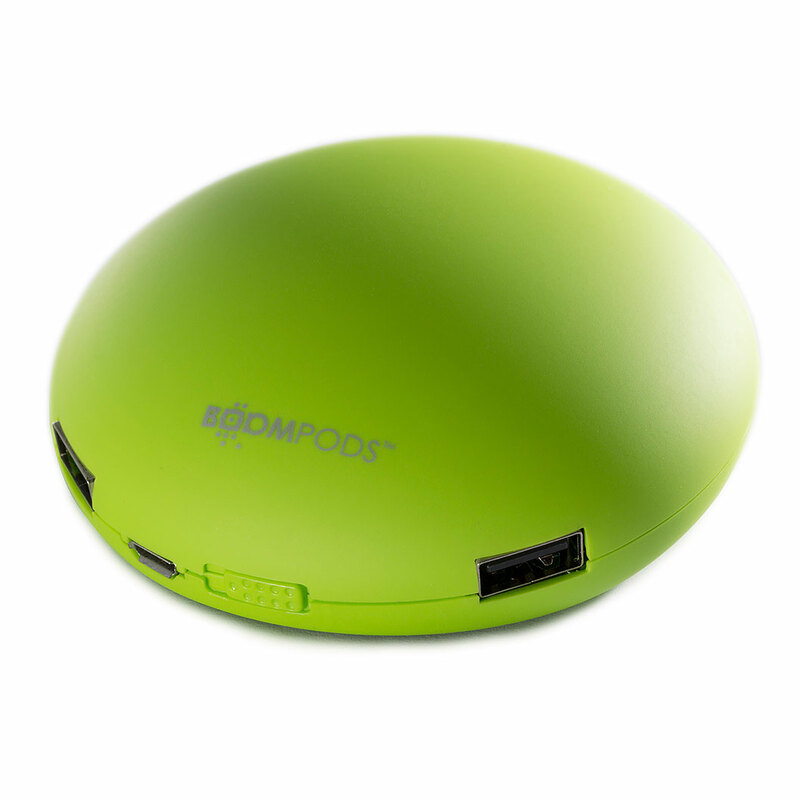 Colours: available in Green, Blue, Orange and Grey.